Usually, OnePlus is praised for its Oxygen OS software, which offers a light-touch, near-stock experience — at least, visually. Turns out, the company has been making some deeper changes to Android on its phones, and not all of them are for the best. 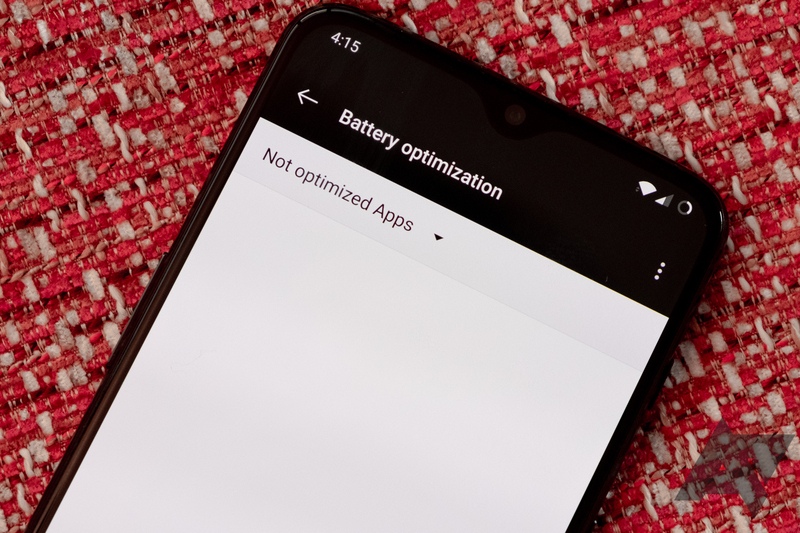 Right now one of the most frustrating parts of OnePlus ownership for many is the company's aggressive battery optimization settings, which can kill apps you may want to be kept open. And worse, if you try to disable these settings on a per-app basis, they can be later randomly reset to defaults. It's likely this is a bug, rather than the intended behavior, but reports of the issue go back to last year, affecting Oxygen OS on both Oreo and Pie. In the intervening months, OnePlus has yet to fix it. The problem manifests simply: If you flip the setting for a given app to "Don't optimize" in Settings -> Apps -> Special app access -> Battery optimization, Oxygen OS will occasionally and randomly reset that setting back to "Optimized" — sometimes on reboots (especially on Pie), always on firmware updates, and occasionally for no discernible reason. It doesn't matter how many times I whitelist apps, the list is eventually wiped. Even disabling OnePlus' advanced power optimizations doesn't help. By itself, this seems like a minor problem, but combined with OnePlus' generally aggressive approach to background app management, the ramifications can be quite annoying. It results in Oxygen OS prematurely killing apps (like Tasker, Signal, WhatsApp, SMS Backup & Restore, among a much longer list) that you'd expect to stay running, and stop them from starting in the first place, even when you think you've exempted an app from typical battery optimizations. This can prevent you from receiving messages or notifications, stop automated backups, kill media controls, and generally break background functionality in apps. As more apps update to target API 26 (Oreo) and its background execution limits, we'll see more of those apps that require running in the background switch to using slightly annoying persistent notifications to stay open. The only way for developers to allow disabling those notifications without giving up functionality is to place apps into Android's battery optimization whitelist. Unfortunately for OnePlus owners, that's not something they can reliably do right now. We reached out to OnePlus for comment, and a representative speaking on behalf of the company told us, "We are aware of the reports and looking into it." Hopefully, this problem is fixed in a future update.